Looking for a house you will want to call home? We have just the house for you. Centrally located in Espanola, you do not have far to go for restaurants or shopping. A nice three bedroom, two bath home, an upstairs master suite, with beautiful mountain views., makes relaxing after a hard day at work a joy, very private and peaceful. The other two bedrooms and bath are located downstairs along with the dining living room area. The kitchen has a backyard access as does the dining area, perfect for the backyard barbecues. The laundry area sets, in a separate room, off the garage. Yes, I did say garage. A one car garage space with a garage door opener. This house has a lot to offer and the price is great too. This home will not last long. 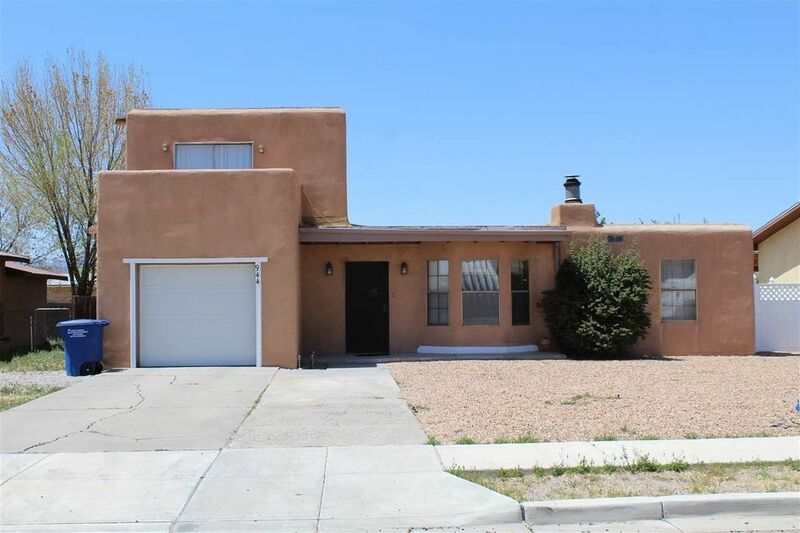 Commute easily to Los Alamos, Santa Fe, or Taos. Directions: In Espanola, off Riverside Drive, turn east/right on La Joya Street, turn left on East Pueblo. home on the left.